We know how important a "better Airbnb image" is, but can we define what it means to have one? Something that's captivating, warm and inviting will always draw plenty of clicks, when compared to one that's dull and boring. But what do those words really mean? 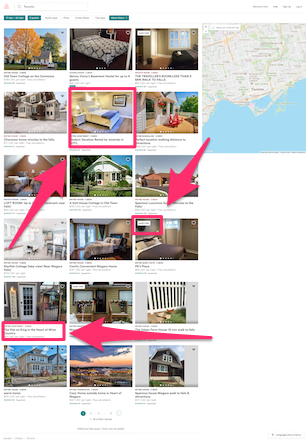 How can we quantify how much a great vacation rental image is worth? That's the problem we're trying to solve for you today and before we move on any further, I'd like to introduce you to 4 charming data scientists: Shunyuan Zhang, Dokyun Lee, Param Vir Singh, and Kannan Srinivasan. All hailing from Carnegie Mellon in Pittsburg, USA. Let's go over, in more visual terms, what it means to have a more valuable Airbnb listing photo. I've created a video for you here or you can continue to read on with the study summary below. "Verified Photos" have helped make these property owners $2,521 more per year. I bet your eyes popped open a bit if your city was listed there. One thing that's very interesting about this study is that it goes on for a fairly lengthy time. About 16 months ending in April 2017. 59% of the listings they looked at did not have "verified photos" at the beginning of the study. Part way through, 224 ended up getting them. It's not known exactly how verified photos correlate with higher rankings, but a more "attractive" image does lead to more clicks. Which is certainly a ranking factor. 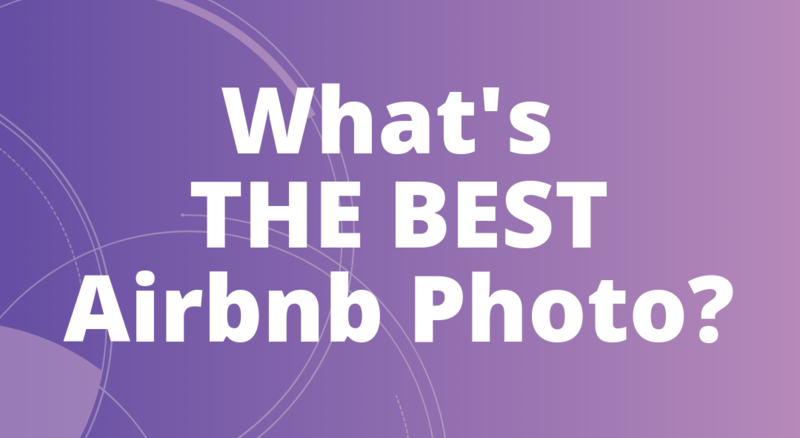 What is an Airbnb Verified Photo? It's when an Airbnb assigned photographer comes to your place, takes pictures of your listing for you, and then uploads them to the platform themselves. Airbnb provides special directions for how they want the images to look and also how to upload them properly. Now that we have a clear understanding of what 'defines' a verified photo on the Airbnb platform. Mostly due to the fact that I'm not a professional photographer. But don't worry, the researchers were able to take the core differentiators between these images and create a model for us to follow. Before diving in too deep though, I want to be clear that although a "verified image" is better, the study concludes that even a lift in the following best practices made an improvement in bookings. It's also not possible to get an Airbnb photographer to every city so not everyone can benefit from a "verified photo" stamp. Now, within these 3 components lay the 12 separate attributes which make for a more desirable vacation rental photo. I think what would be very helpful is if we took each attribute and gave you something more visual to work with. This aspect of your photo is all about centering the visuals. If you're a natural photographer, or perhaps a professional one, then it might come easy for you to choose something in a room and instantly focus on it as the center of attention. In my own personal interpretation of this, if we add crisscrosses to an image and place our focal object along these lines then we're staying in the helpful part of this attribute. It's hard to explain, but the pillows, bed, and light are a lot more balanced and centered. Giving the eyes a more pleasing image. Let's move onto the next attribute here for composition. We divide our shot into 9 equal parts of the screen. Created by 2 horizontal and 2 vertical lines on each side. The rule of thirds helps us place our main elements along the lines or near the intersections. If we look at our example above, the depth of the room is right in the center and we have the bed and couch sitting right along the lines. The lines help keep the symmetry of the photo. Even though the words are big, it simply means that we want to have our images tightly centered and even on both sides. Fun Fact: Based on this study, a tweak of 1 standard deviation in composition... Lead to $2,432 more bookings per year. Need a refresher on standard deviation?​ Here's a video for you. From the researchers' point of view, these factors lead to a shift in a persons "emotional arousal". Taking someone from a state of boredom to excitement and tension to relaxation. In my eyes, this is exact cause for what helps to drive more clicks to our listings. They are more inclined to click the image out of curiosity, or in the case of what these researchers have said, out of arousal. Have you heard of RGB? Those are the colors that affect your overall emotional arousal and researchers argue that warm hues such as red and yellow lead to more excitement, with blue and purple giving "cool hues" that lead to relaxation. This might be a reason why some Airbnb hosts switch up their decor according to the time in which they're looking to get bookings for. For example, the warm red fireplace set on the TV screen to attract winter bookings. What's interesting is that a room's walls, furniture, and decor can affect the first hues of an image, but all that can be adjusted in the post-processing part. So we have a lot of control for this attribute. Saturation refers to how rich the color is in the image. Highly saturated photos provide colorfulness that a low saturated image does not contain. Mostly because the levels of pigmentation aren't there. From an emotional perspective, the higher saturated images elicit happiness and purity. While the less saturated photos bring on sadness and distress. These attributes contribute to the intentional translation of the property into the potential guests' mind. That might sound "woo-woo", but it's all about the positive adjustments to the illumination of the room. If you've ever played around with brightness and contrast on your camera, then you know how big of difference it can make. The brightness coincides with the overall illumination levels. While the contrast of the brightness describes whether the illumination is evenly spread over the photo. In general, an image that's brighter is preferred and illumination levels help make the image clearer for viewers. The clarity of an image refers to the intensity of the saturation and hues. ​An image that's often referred to as "dull" in the professional photography sense occurs when the color combinations are desaturated and the hues are very low. I think many of us have witnessed image clarity lacking from our neighbours photos before. It's hard to miss these and ignore them... But we also wouldn't book them either. 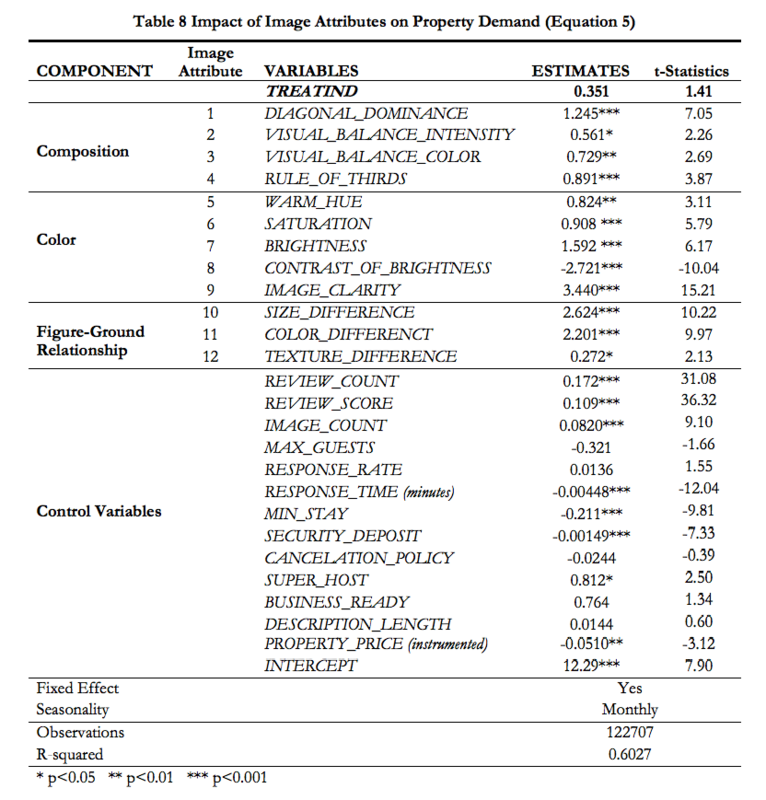 Sidenote: According to this research, one standard deviation of color attributes to $6,484 in extra booking income. This is with the listings collected only from the 7 cities. The figure-ground relationship relies on the principle that there's a clear separation between the figure and the ground. The figure represented by the key region and focal point of the image and the ground refers to the background. Even though these attributes are bundled together here, from looking at the image we can see that there is a clear difference between the different areas of the room. Final sidebar for each component: A standard deviation of 1 in the component of the "figure-ground relationship" leads to an increase or decrease of $3,485 per year. How Do These Attributes Contribute To Bookings? Now that we've defined what each attribute means, we need to connect their value and impact to bookings. Here's a chart which I'll go over in greater depth below. With a little math, we'll be able to see which attributes lead to the biggest shifts in booked days and income. This means you can worry about the most important characteristics first, instead of all 12 at the same time. 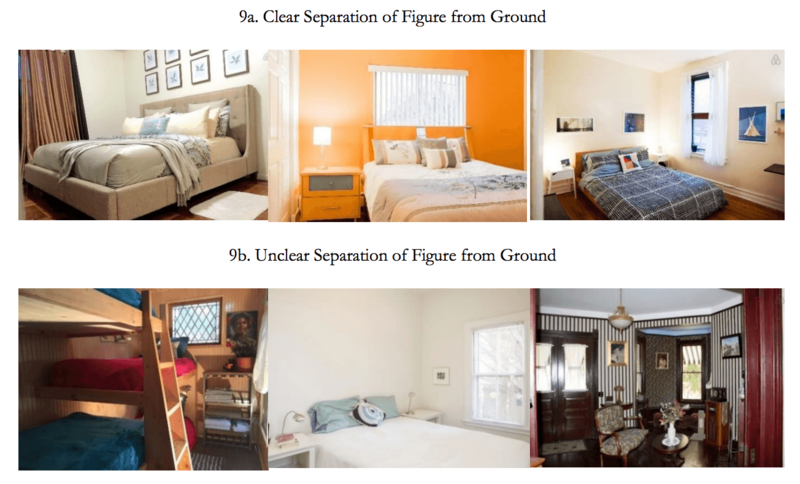 The Most Influential Factors For "Composition"
Every single attribute lends a helping hand in creating a more inviting vacation rental image, but the Rule of Thirds and Diagonal Dominance played the most influential roles. In this example below, let's see how much more revenue is created once we improve the Rule of Thirds and Diagonal Dominance. To keep everything simple and relevant, I'm using the average property price of $187.30. Which represents the per night pricing of a host (within the study) that replaced all their low-quality (unverified) photos with high quality (unverified) photos. One standard deviation of improvement for the attribute of Diagonal Dominance, lead to additional annual revenue of $851.14. Calculated like so (1.245% x 365 days) x 187.30 USD/day = $851.14. For one standard deviation of improvement in The Rule of Thirds, an additional $609.13 came about. Which means you should be leveraging these characteristics first, over the other attributes. Especially if you're in a rush to improve the quality of your images. The Most Influential Factors of "Color"
For Contrast of Brightness & Brightness, an improvement of one standard deviation in both would relay an estimated $1,860.20 & $1,088.36 respectively. Now I think another way we can make this study a bit more relevant is to see the number of extra days you'd possibly get booked, rather than the income estimate above. So let's switch gears a bit. That's probably a bit more relevant to you, right? Keep in mind that these estimates are based off listings that have had an average of 21.057% of the month booked. Which is quite standard and achievable by most. Alright, let's move onto the final component. The Most Influential Factors of "The Figure-Ground Relationship"
Two of the attributes, size difference & color, played a balanced yet significant part of this component. Size Difference: 2.624% x 365 days = 9.58 days of additional bookings, per year. What I've laid out above is just a simplified summary of the original study. I definitely encourage you to take a look at the original paper to get a firmer grasp of the concepts. We know that a limitation to the findings is that it goes over a set period of time in the past. However, a 16 month timeframe is still a lot better than many other studies I've read. As improvements in the learning models developed over that time frame, the study could be limited by what types of models the researchers had access to. Another limitation was the ability to integrate a travellers search habits into the study. This is something we're personally interested in at RemoteScale and studies like this help us correlate even more ranking factors. Even after we've spotted these limitations, I believe it's still worthwhile to reference the examples above and see whether or not your own photos match them. The easiest thing you can do is simply run ads on Facebook or Instagram to measuring which of your photos has the highest click through rate. 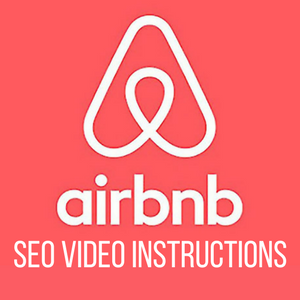 It costs a little bit of money and you probably won't get any bookings from the ads, but you can be sure that the images with the highest clicks will also be the most attractive to searchers inside of Airbnb too. To the 4 researchers who put this study together, I'd like to say thanks from the entire Airbnb and vacation rental community. You've dedicated countless hours and over a year and a half of your valuable time to help us make better data driven hosting decisions. As for you, the reader, we've collected the above examples into a downloadable kit for you and added additional examples from the thousands of listings we're currently analyzing with Rankbreeze. Oh my!! Many of the components really looked tricky to me! 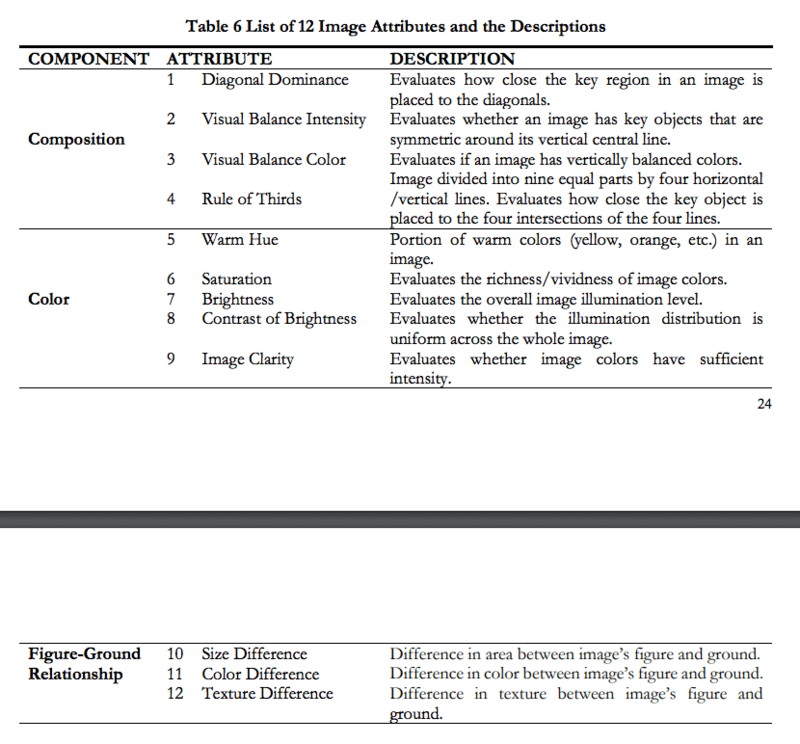 In figure #7, I thought the darker one looked better….In figure #1, I have no clue what the diagonal dominance means. But thank you! Some of the others, I can fix today. P.S.- I did have a professional photographer come and shoot my listing. However, it was at the beginning when I was still using my Momma’s card table and 1963 lawn furniture! You’re welcome Betty. Glad it was helpful. It might be time for some new professional photos now that you’re more experienced and know exactly what to highlight?